Recording your child's vital signs are a routine part of a visit to the pediatrician's office. Doctors are looking for specific numbers when taking vital signs which is used to evaluate your child's overall health. As a parent or caretaker, it's beneficial that you learn what these numbers are and what they could mean regarding your child's health. 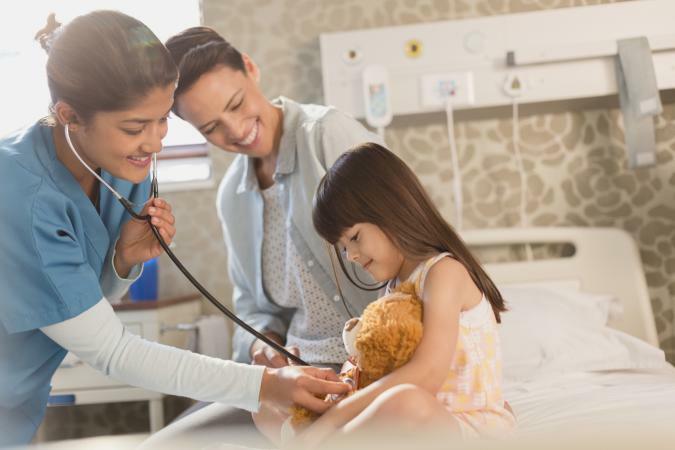 What Are Vital Signs for Children? Speed of the heart rate. Bradypnea which is breathing that is abnormally slow. Tachypnea which is described as a shallow, elevated respiratory rate. Blood pressure is the pressure of the circulating blood against the walls of the arteries. Your child will wear a cuff specific for their size to help with the accuracy of the reading. The doctor will take your child's blood pressure two or three times which will help with accuracy as well. If the body temperature is normal. If the body temperature is high, your child has a fever and is most likely trying to fight off an infection. Low body temperature can also indicate medical issues. It is important to note that normal vital signs for children are different from vital signs for adults and infants. Healthy kids exhibit different numbers for each category as they grow and significant discrepancies can be indicators of certain medical conditions. A medical professional can take a child's pulse a number of ways, but it is will most likely be taken at the wrist. According to Health.NY.gov, children's sleeping heart rates may be 10 percent lower. Breathing is an obvious vital sign measured during regular doctor visits. The following are general numbers for normal breaths per minute in children. Blood pressure measurements require a sphygmomanometer which is a measuring device that uses a cuff that fits around the upper arm just above the elbow. Normal blood pressure readings in children vary according to age, height and weight. Blood pressure information and numbers can be found at the Pediatric Vital Signs Reference Chart. Rectal temperature is the most accurate, but it is recommended for infants. Oral temperature is typically taken with an electronic thermometer. Axillary measurements are taken in the armpit. While this approach is appealing, it is the least reliable. 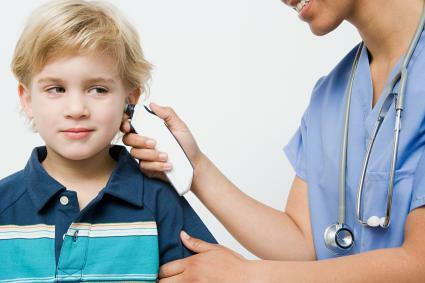 An electronic thermometer may be used to take a child's temperature in the ear. A forehead thermometer can be placed on the forehead to measure the temperature of the skin. Temporal artery thermometers that measure heat waves on side of the child's forehead. The numbers presented here are general guidelines, and it is necessary to discuss normal ranges for your child with his or her pediatrician. Vital signs in children and adults can change in certain conditions. For example, a person may exhibit accelerated pulse and respiration after engaging in physical activity. The normal readings are associated with average rates while resting, but not while sleeping. What Could Abnormal Vital Signs Mean? If a child's heart rate is low, races or skips this could be due to the child having trouble breathing (lack of oxygen), medication effects or a congenital heart problem. If a young child's blood pressure is high or low, it can indicate a heart or lung problem. Hypertension in a child can also be due to obesity and hypotension can occur due to a severe allergic reaction. If a child's temperature is high, there is a fever which indicates there is an infection somewhere in the body. What Should You Do if Your Child's Vital Signs Are Abnormal? If your child's vital signs aren't in the typical range, it is best to recheck especially if the child was anxious or upset during your assessment. Wait until the child calms down, check for any other signs of illness, then recheck their vital signs. If they are still abnormal, it is always best to call the doctor. Children's health is an important issue and knowing the normal vital signs for children can help in some cases. However, it is critical to have a professional in the medical field take the readings to ensure that they are taken and interpreted properly.